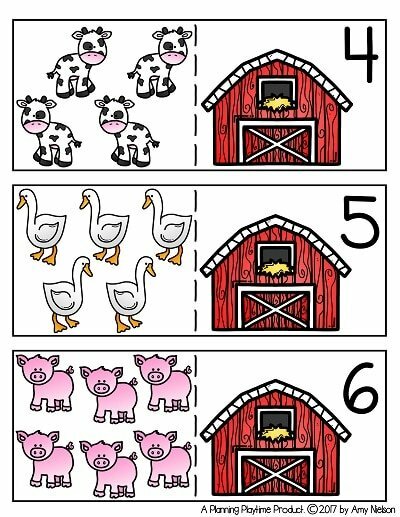 We have the cutest puzzles and activities for you today to use as Spring Counting Centers for Preschool. This combo of puzzles, counting clip cards, and game is a fantastic, fun way to practice counting this spring. All of these activities work well as stand alone projects, but they can also be turned into file folder activities. Print them on card stock. Then cut and laminate them for repeated use. Turn it into a File Folder activity by placing Velcro on the back of each puzzle piece. Place six coordinating Velcro pieces on one side of a file folder, arranged 2×3, so that the children can put together 3 puzzles at a time. These beehives are buzzing! How many bees can you find in each hive? Count, and then help them find their flower. 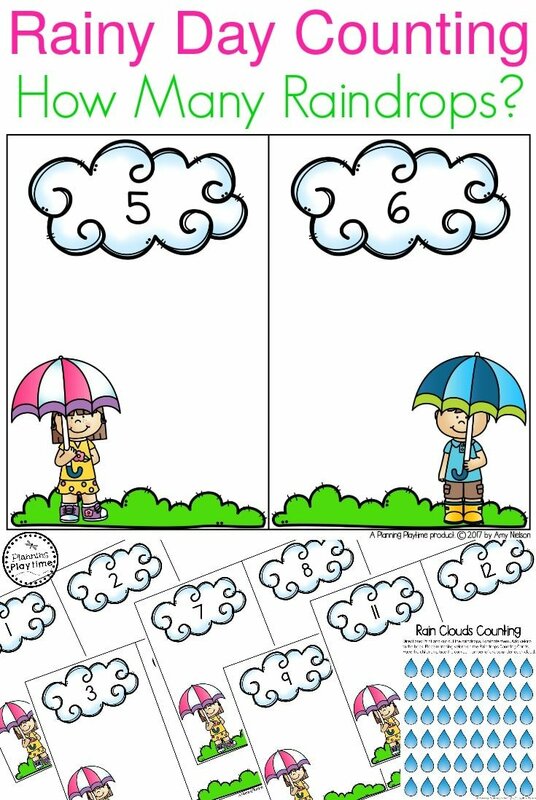 Print, cut, and laminate the cloud counting cards as well as the individual raindrops. Have the children count and place the correct number of raindrops on each card. I included a blank card so you can use any numbers you would like. Just write it in with a dry erase marker. Turn it into a File Folder activity by placing Velcro on the back of each raindrop. Place coordinating Velcro pieces on the cloud counting cards. Let the children count and place the raindrops. These frogs are hungry. Help them find flies for dinner. How many flies do you see? 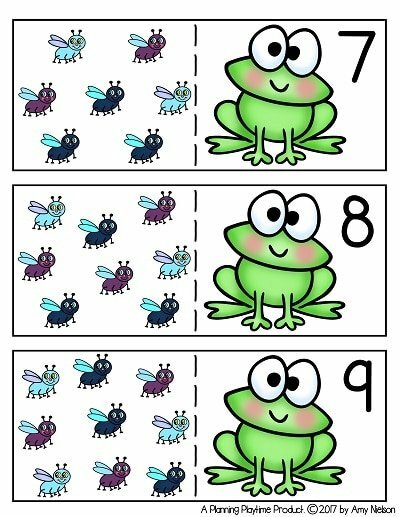 Count and match the flies to their matching frog. 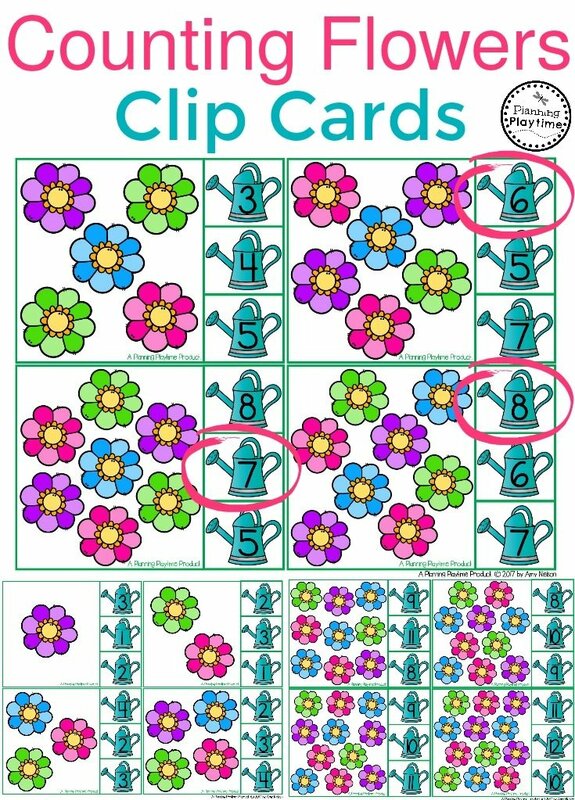 These bright happy flowers are perfect for counting. Find out how many are in the garden, and place a clip on the box with the correct answer. Bugs are so cool. How many can the kids find? Give the children clothespins. 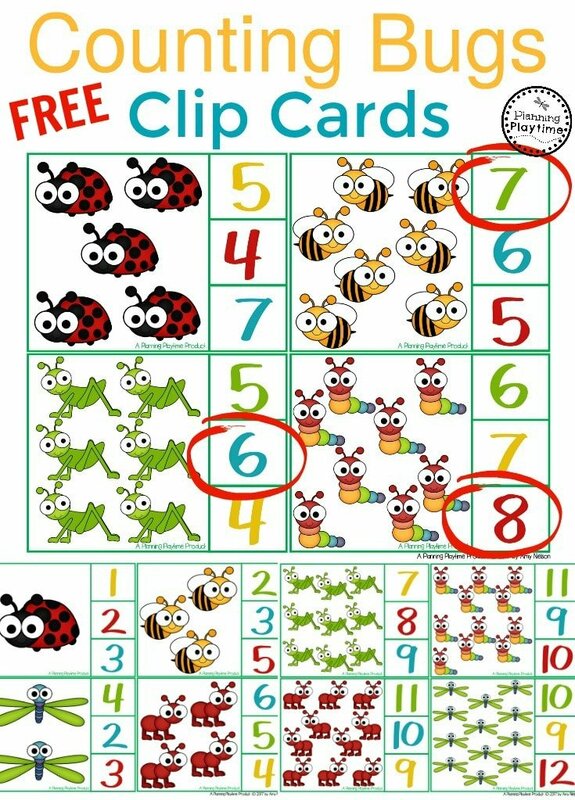 They must count the number of bugs on each card and clip the correct answer square. If you don’t have clothespins, you can also use a dry erase marker to circle the answers. 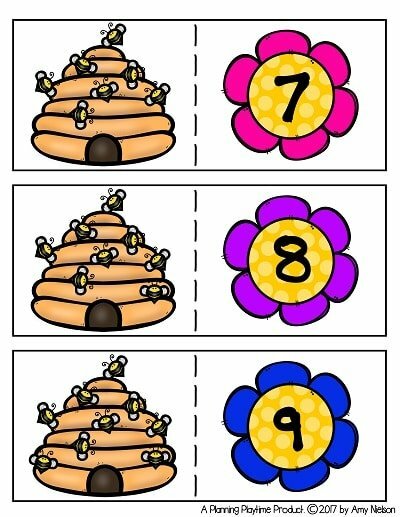 Thank you for taking a minute to check out these fun Spring Counting Centers for Preschool. We hope you’ve enjoyed them. 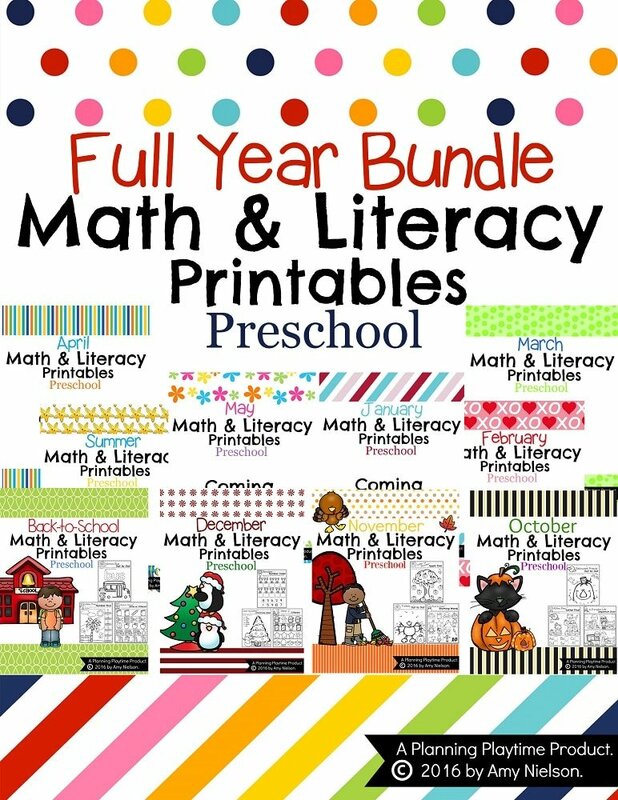 You can get them today in my TeachersPayTeachers store. Hi. I really enjoy your creative activities. Iwould like to know more. It’s very kind of you to help me. Thank you. I’m glad you are enjoying them. Subscribe to our newsletter or follow us on Facebook to see all of our latest activity ideas. This is not a free download. These sets take many hours to create as well as often $30-$60 in clip art and fonts. I would not be able to create them if I gave them away for free. I do try to keep them as reasonable priced as I can.